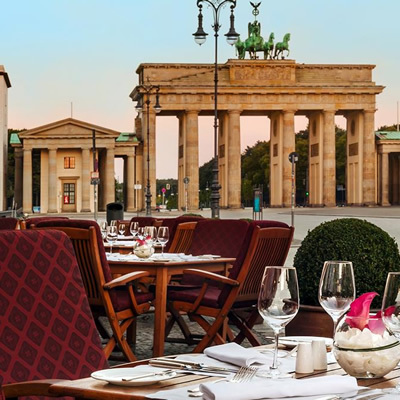 Hotel Adlon is a part of the Kempinski Hotel Group and can be found located in the very heart of Berlin - just a matter of steps from Brandenburg Gate. The hotel is a grand building with an impressive façade, which is in fact a replica of the original 1907 building which was sadly largely destroyed in the late part of World War II. As we arrived outside the hotel our car doors were opened and our luggage was taken. We are shown through the revolving door to the reception area where we were welcomed and checked in. 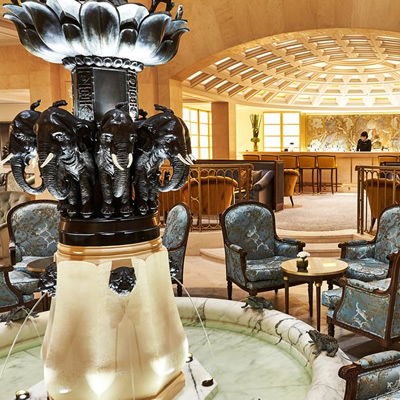 The lobby of this hotel is certainly impressive, with a curved ceiling and enviably shiny floors, we simply could not wait to explore our room. Thankfully, the check-in process was very efficient and before we knew it, we were being escorted to our Junior Suite. As soon as we arrived, we could tell that this was no ordinary Junior Suite. This, in fact, is one of the most impressive Junior Suites we have ever seen, with its stunning unrestricted views over Brandenburg Gate, perhaps why this is titled ‘The Brandenburg Gate Junior Suite’. The suite is very spacious and includes a sofa and armchairs along with a coffee table, a huge desk complete with a tablet loaded with a vast amount of suggestions for local attractions. The gorgeous bed is fit for royalty and sits between two bedside tables and lamps. The bathroom is wonderfully traditional and continues the luxurious decor found throughout. Here you’ll find his and hers wash basins on either corner of the bathroom, a large bath tub and a separate walk-in drench style shower. The toilet can be found hidden behind a further door for privacy. The suite also includes a small entrance hall, which is home to several wardrobes and storage areas which make it easy to call home during longer stays. The real highlight of this particular suite is of course the view, which can be further enjoyed when the large glass doors are opened and the sound of the hustle and bustle floods in. This truly is a joy to experience whilst sipping your espresso. 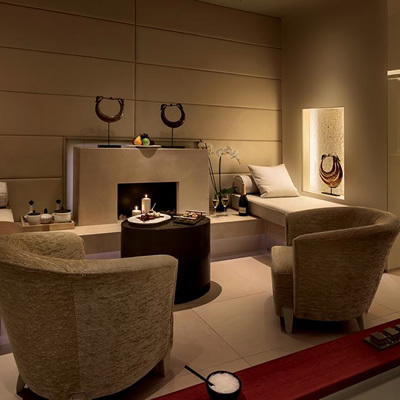 If you're able to drag yourself out of your suite to explore the hotel then you will find the spa and fitness area in the basement, which offers a good sized gym. 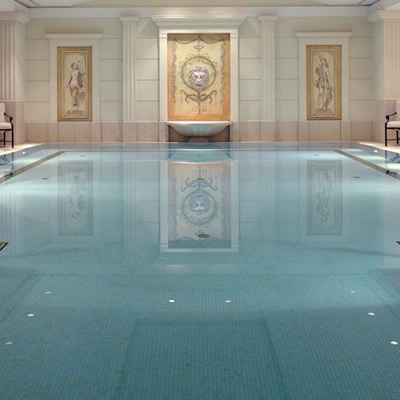 I enjoyed observing the gym on the way to the pool, where I did a few lengths before relaxing in the whirlpool. 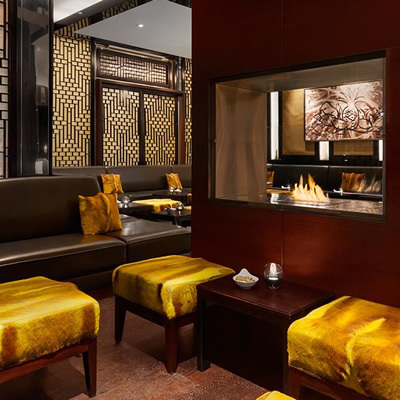 The hotel is also home to several restaurants and bars, including the Michelin starred Lorenzo Adlon Esszimmer, which is a superb choice for dinner. 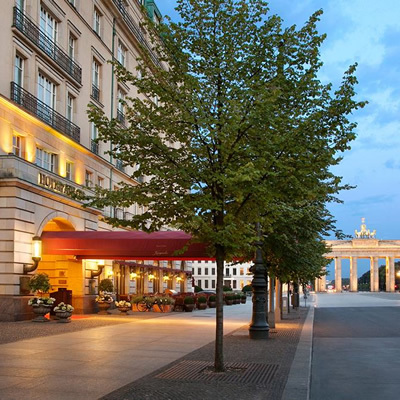 We were very impressed with the true five star experience we had at Hotel Adlon. Amongst other things, the decor found throughout this huge hotel really is impeccable and the attention to detail in both the design and how it's maintained is very impressive. This, for us, demonstrates immaculate attention to detail. The staff throughout are very friendly and have plenty of suggestions for places to visit in Berlin. This certainly is an iconic hotel of the city, and one that comes highly recommended by us.